Cheerios cereal maker General Mills Inc (GIS.N) will buy Blue Buffalo Pet Products Inc (BUFF.O) for nearly US$8 billion, foraying into a fast-growing pet food market to counter declining sales of processed foods. The acquisition announced Friday is the latest by a major food company seeking to expand in the US$30 billion U.S. pet food market, while battling low demand for sugary, preservative-filled items. "In pet food, as in human food, consumers are seeking more natural and premium products," General Mills Chief Executive Officer Jeff Harmening said in a statement. General Mills — home to Chex cereal and Yoplait yogurt — will pay US$40 per Blue Buffalo share, representing a premium of 17.2 per cent to the pet food company's Thursday closing price. Blue Buffalo's shares were trading close to US$40 on Friday morning, while General Mills' stock fell 3.7 per cent. Analysts said the deal was too costly. Blue Buffalo's stock had already climbed 58 per cent in the past six months. 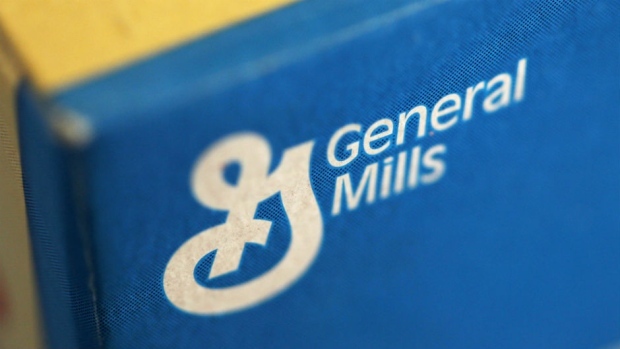 "We like the strategic merit but the price is steep and General Mills will have to work hard to extract value from the deal," Jefferies analyst Akshay Jagdale said. He wondered if General Mills could properly fold in Blue Buffalo after having difficulties in growing Yoplait, in which it acquired a majority stake in 2011. J.M.Smucker (SJM.N), Nestle, or a processed food maker seeking a foothold in the pet food industry could make a counter offer for Blue Buffalo, said Susquehanna analyst Pablo Zuanic. However, opposing bids were unlikely given General Mills' high offer price, other analysts said. Other companies vying for a share of the lucrative pet-care industry include Mars, Cargill and Nestle. Mars, which makes Pedigree and Whiskas pet foods, bought animal hospital firm VCA for US$7.7 billion last year, while agriculture company Cargill snapped up pet food maker Pro-Pet. Nestle has called the industry a strategic high-growth area for investment. U.S. retail pet food sales rose over three times as fast as the 1.2 per cent growth in sales of packaged food last year, according to research firm Euromonitor. Blue Buffalo, founded in 2002, rakes in more than US$1 billion in yearly sales, benefiting from strong demand for its BLUE brand of dog and cat food made with whole meats, fruits and vegetables. The Wilton, Connecticut company also led the U.S. pet care market in 2016 with a 6.1 per cent share, Euromonitor said, up from zero just two years ago. General Mills expects Blue Buffalo will help boost sales and add to its earnings within two years. It will fund the acquisition with debt, cash on hand and about US$1 billion in equity. Blue Buffalo will operate as a separate unit within General Mills and its CEO Billy Bishop will continue to lead the business. Goldman Sachs was General Mills' financial adviser, while JPMorgan and Centerview Partners advised Blue Buffalo. Cleary Gottlieb Steen & Hamilton LLP provided legal counsel to General Mills. Simpson Thacher & Bartlett LLP advised Blue Buffalo.